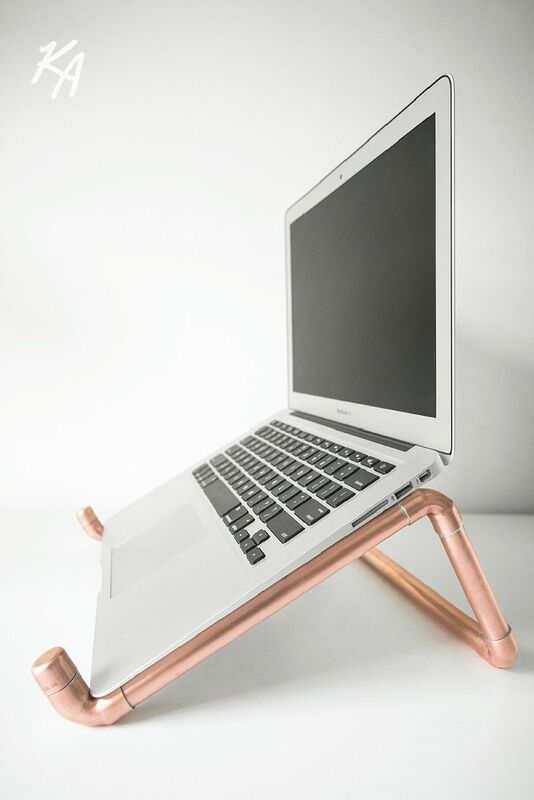 When surveying the options for laptop stands out there, they ranged from anywhere between $50 and over $100. My requirements weren't hard, I just needed to elevate my laptop to the height of my monitors (bottom of the screen ~170mm off the ground). I decided to take a look at Bunnings (for those outside Australia, this is our hardware mega-store, The Home Depot may be an American equivalent). Coming to a grand total of $11.72. To increase the height, you would increase both the short back lengths and the long lengths to change the arch. If you just increase the short backs, it will alter the angle of the stand. If your laptop is smaller than my laptop, you may want to consider making all the lengths smaller. So if you cut lengths similar to me, you should have ~280mm left of piping, which you can use to re-cut any piece if they aren't the correct length. 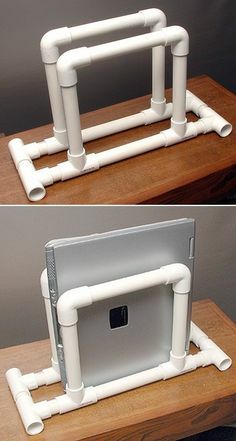 I've been very happy with my laptop stand, I even made a second one so I can have one at work and one at home. 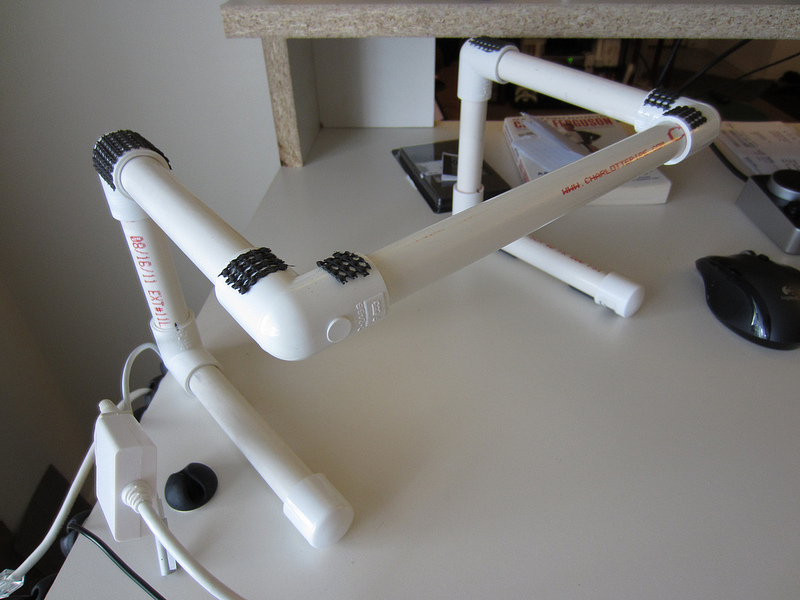 They are also easy to transport as you can easily disassemble them.